Perhaps inspired by the success had by Cpl. Kelsey De Santis and Sgt. Scott Moore, who respectively, got Justin Timberlake and Mila Kunis to be their dates for their military balls, Marine Lance Cpl. Aaron Leeks decided to make a similar request to First Lady Michelle Obama. There was, however, one big difference: Cpl. Aaron Leeks asked the First Lady in person; De Santis and Moore made their request through YouTube. The First Lady accepted, but did say she would need to speak with her husband about it. It’s more than likely that President Obama will not prevent the Princeton and Harvard scholar that is his beautiful wife from attending. The three exchanges demonstrate the way social media has altered the tone and texture of public and private discourse. 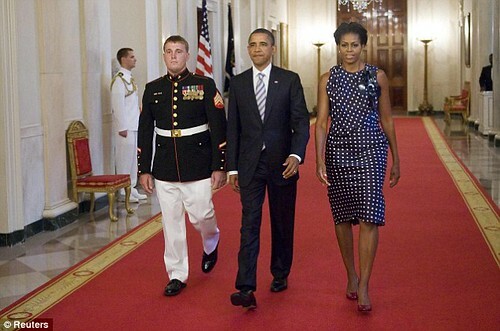 Aaron Leeks may not have thought it appropriate to ask Michelle Obama to his 2012 Marine Ball had not De Santis and Moore asked out the two actors through YouTube videos. Moreover, if the well-publicized invitations, acceptances, and gala celebrations had not received the attention and approbation they were festooned with, the FLOTUS may not have thought accepting immediately to be within protocol and within social norms.